Homemade salsa is my absolute favourite! 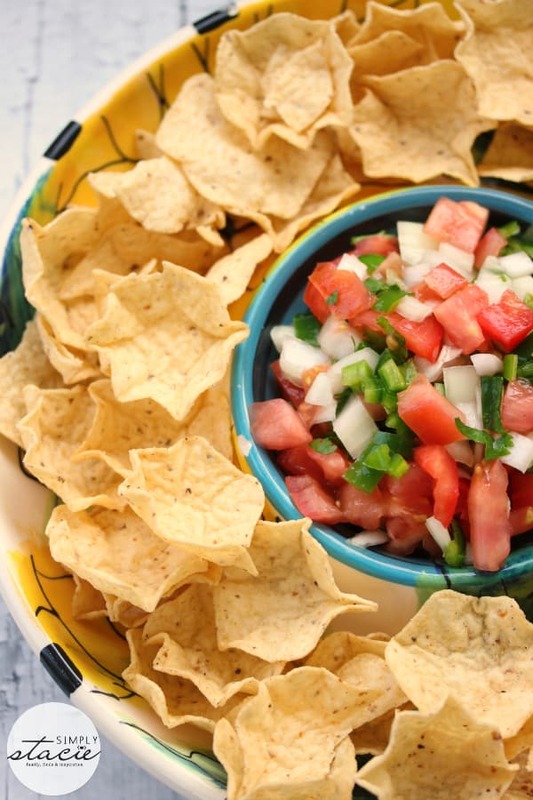 I love that this salsa is simple and fresh. Great for a summer dinner on the deck. I love this! It’s very similar to the pico recipe my mom makes! Good stuff! This looks so good and fresh! 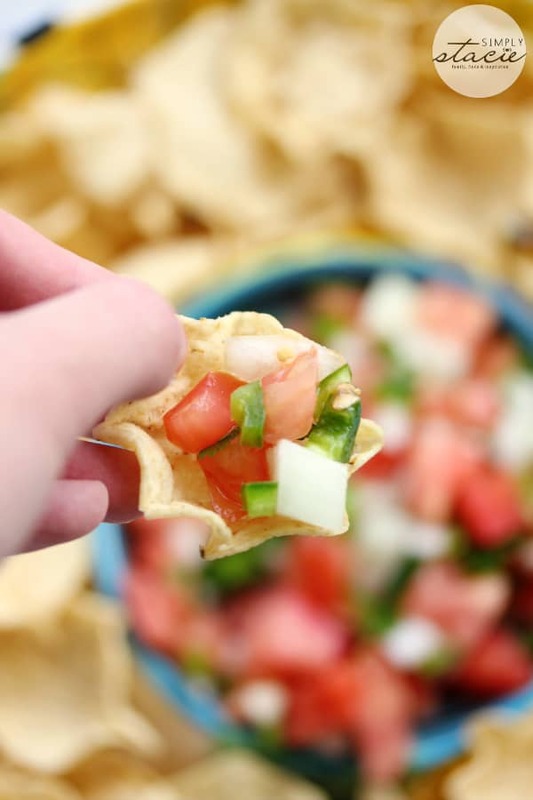 I love pico-de-gallo and could probably eat the whole recipe myself! sounds delicious! Very light and refreshing thanks! I’ve been wanting a good pico recipe! This looks wonderful, I love simple recipes that use fresh ingredients. This sounds like a very delicious and spicy Pico de Gallo. I will be trying this out as a great dish to serve with drinks on the patio. This looks so fresh and good! I can’t wait to make it. Thank you for sharing. Another great recipe. Takes me back to when we lived in the city. We were surrounded by a ton of awesome food. Mexican, Peruvian,…you name it we had it. And every July, for one weekend, our street was shut down for a Salsa festival. A whole weekend of freshly made latin american food, music and pure happiness. Good times. I love Pico de gallo! Thank you for sharing your recipe. Such a great recipe for summer! 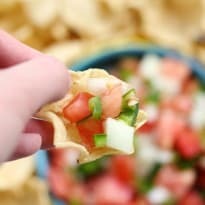 I love Pico de Gallo, and just found your recipe while cruising through your recipes/appetizer section. I have already copied/saved this recipe to my file. It is much less complicated than the one I currently do, and has the exact ingredients that I prefer in mine. Thanks for sharing it. 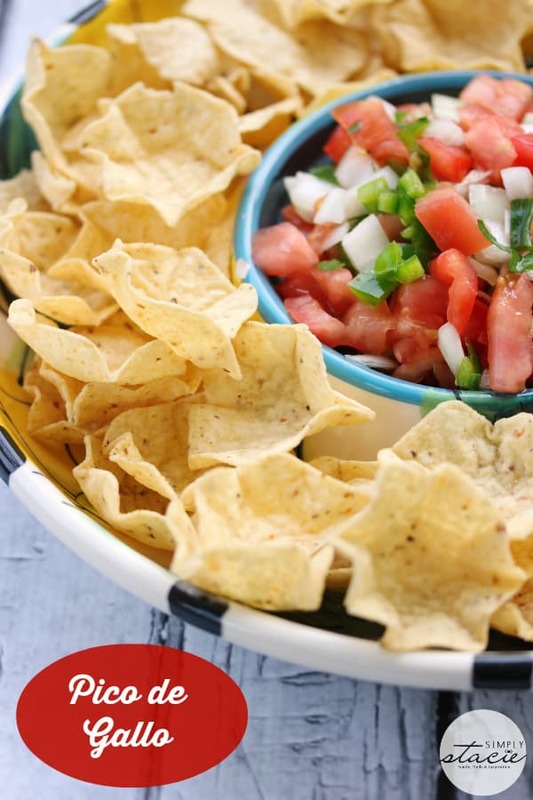 Pingback: Quick and Easy Mexican Appetizer Recipes - Frugal Mom Eh!